SuperShield 9500E - 87" width - Enclosed 4-Spring - 18oz. 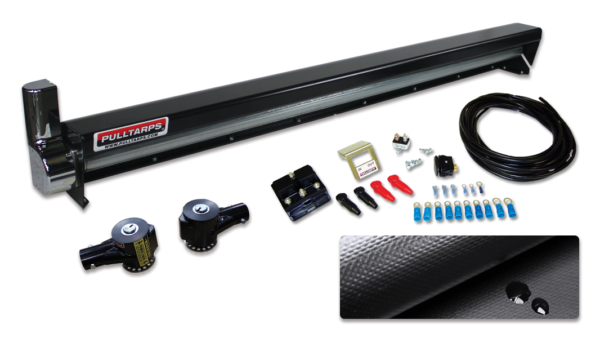 Vinyl - 24' x 84"
This is the strongest, most durable Automatic Arm System available in the industry. The fully welded 12 gauge steel construction offers the best protection from falling debris. Designed for longer applications up to 40.